With Manchester City having lost their Premier League crown to local rivals United this season, the blue half of Manchester are expected to be busy in the summer transfer window, as they look to close the gap and put up a greater fight for the title in 2013/14. After Brian Marwood’s dealings last year were largely criticised by Roberto Mancini- Matija Nastasic has proven outstanding, but fellow summer 2012 incumbents Javi Garcia, Scott Sinclair, Maicon and Jack Rodwell have all rather flattered to deceive – Txiki Begiristain, Marwood’s replacement as Director of Football, will have the remit of bringing in the required talent to ensure City close the gap on United, minimum. Additionally, after a disappointing European campaign, and the potential of a Chelsea squad reinvigorated by the return of Jose Mourinho, the pressure is on City to bring in the kind of world class talent who can make a major difference. As such, much of the paper talk regarding City’s potential transfer dealings has regarded some of world football’s A-list: Napoli striker Edinson Cavani, Tottenham’s Gareth Bale, Brazilian phenom Neymar to name just three. 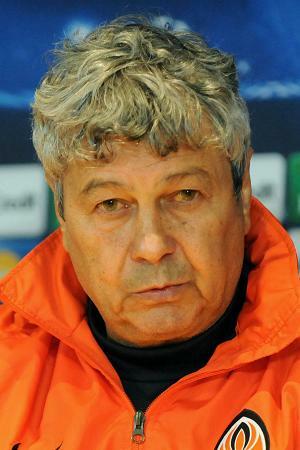 However, one name which has really taken the eye, and not merely for the astronomical £42 million fee his manager Mircea Lucescu (right) claims he’ll cost, is Fernandinho, Shakhtar Donetsk’s deep-lying playmaker. Despite Lucescu’s proclamations regarding a fee, £17 million has been mooted should the Brazilian decide he needs a new challenge. With the World Cup in Brazil next year, he may feel a move to a more highly-respected league will improve his chances of nailing down a place in Luiz Felipe Scolari’s squad. The 28-year-old has spent the last seven years in the Ukrainian top-flight with Shakhtar, having signed from Atletico Paranaense for £7 million in 2005. Since then he has gone on to lift six Vyshcha Liha titles, three Ukrainian cups and the 2009 Uefa Cup, for the club bankrolled by Ukrainian billionaire Rinat Akhmetov, making over 280 appearances in the process. This past season, his star shone particularly brightly in two matches against Chelsea. Subsequently, a player who has long remained under the radar in Donetsk, burst into the typical-English-football-watchers consciousness. As an aside, over the course of the past week, we have seen two German sides with outstanding midfield generals amongst their ranks – Ilkay Gundogan and Bastian Schweinsteiger for Dortmund and Bayern respectively. With those names in mind, the signing of Fernandinho this summer would be a major sign that City are strengthening their starting XI – not merely adding numbers to their squad – ahead of the new campaign. The aforementioned German twosome have rightfully garnered many plaudits for a catalogue of top-class performances, but the Brazilian is a player deserving of mentioning in the same class. In arriving at Eastlands, not only would Shakhtar’s number seven be a direct replacement for the much-maligned (often unfairly) Gareth Barry in City’s starting line-up alongside Yaya Toure at the base of City’s midfield, he would also without question, be a definitive upgrade on the England international. Although Barry has proven a reliable selection for Roberto Mancini, he is a steady rather than spectacular performer, whose enduring career image may unfortunately prove to be the moment Mesut Ozil breezed past him at the 2010 World Cup. The Londrina native would offer far greater dynamism than the former Aston Villa man. Fernandinho has long-since proven himself to be a mixture of defensive diligence, timely tackling, incisive running and intelligent passing; A player whose offerings aren’t measured in statistics, due to the likelihood of him starting, rather than finishing moves. He adds greater security to his side, team mates can trust him to take the ball in precarious situations and to keep it. In essence the five-cap Brazilian is rather similar to Yaya Toure. However, whilst an impressive athlete, he isn’t as monstrously powerful as the Ivorian (who is?) but is perhaps more technically refined. As a ‘holding’ midfield duo, there’d be envious glances from all but a few of Europe’s very elite. It feels as though City need that kind of summer. Something big. A statement that they’ve learned and will be back with greater strength in 2013/14. Being out of European competition pre-Christmas was embarrassing for all concerned, whilst their title defence proved meek at best. They need to make people sit up and take notice once again. 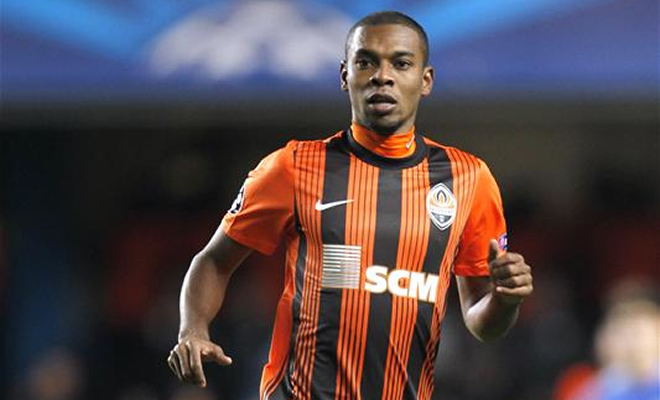 The signing of Fernandinho would be such a declaration. It would point to everyone on the outside looking in that such stumbles won’t be happening again, and importantly, that Manchester City must be taken seriously, no matter the competition next season. 1. Gareth Barry is a far more important player than your article indicates. Every England and Club manager that has had Barry available has considered him almost irreplaceable. If he is to be replaced (and both Rodwell and Garcia were brought in with a view with the jury still out…) then the player is likely to be significantly younger than Fernandinho. 2. Next, you have over egged the benefits of Fernandinho. He is not technically superior to Yaya Toure, not by a long chalk; he is less effective than City’s first choice for signing Summer 2012, Javi Martinez who preferred Bayern (and at this stage of his and City’s development wasn’t wrong)! 3.If City decide on a central midfielder with technical excellence and passing skills İlkay Gündoğan at age 22 is a far better option. If more ‘bite’ is needed then maybe Sampdoria’s Pedro Obiang, at age 21 he is a beast of a boy with a footballing brain. None of these will ever reach the heights of PFA midfield player of the season, Michael Carrick………doesn’t it make you want to puke!! Nice comment from the other side of Manchester.